Find Your Unique Purpose. Conquer Your Fear. Thrive in Transitions. Launch Out Into a Life of Significance. Summit Life is a 6-week, online coaching program for men and women that is focused on helping you find your calling and courageously launch out into a life of purpose and vision. It's perfect for people who are preparing for a life transition or know it's time to make some changes to live a life focused on significance. You'll get personal coaching, a personality profile, someone to "talk it out" with, and some great materials to help you explore your unique story and conquer your greatest fears. You'll take the journey with your coach Joël Malm. Often times we just need to talk it out to figure out what's really going on in our lives. Joël is an expert question-asker. He'll help you get clarity and focus so you can take the next steps in your life. You'll work directly with Joël from day one to prayerfully develop a personal Vision Map for family, finances, career, ministry and personal goals. Your life has a purpose. God wants to take the good, bad, and ugly and transform it into an amazing story of his redemption. Then he wants to use your story to reach the world with a unique message he has given you. We'll explore that story and message together. Landed their dream job with one of the most influential business gurus in the world. Written a book they developed in the program and signed a 3-book contract with a major Christian publisher. Stepped out to serve internationally in the medical mission field. Developed their own life coaching programs. can help you move forward into a life of purpose and calling. Everyone ends up somewhere in life, some people get there on purpose. Right from the start you will sit down with Joël and develop a strategic stewardship plan for your family, finances, career, ministry, and personal goals to make sure you are headed where you want to be. You can't plan your life, but you can make sure you are on the path to where really want to be going. Success is a direction, not a destination. You are unique. You know this, but you probably don't realize the extent of the gifts God has uniquely placed in you. You are just too close to you to see it. You'll take a time-tested personality profile that will help you learn about 16 different aspects of your strengths, weaknesses, and the kinds of work that fit best within your calling. “Life must be lived forward; but it can only be understood looking backward,” said Soren Kierkegaard. God never asks us to do something he hasn't already prepared us to do. Often times we simply don't see that he has been working because we are too close to our own story. You'll get a workbook created by Joël that will help you explore every season of your life and see how God can, and will, use the good, bad, and ugly to accomplish his purpose in your life. If we are honest, most of us would admit that we live in a constant state of fear. Fear of the future. Fear of failure. Fear of death. Some of us even fear success. Our fears limit what God wants to do in our life. Before you can move forward into all God has for you will have to facedown fear. We'll identify your fears, then work together to conquer them. This is the week that we’ll pull it all together and help you launch out into the future. We'll take everything you've learned and develop a strategy for moving forward into what God has for you next. 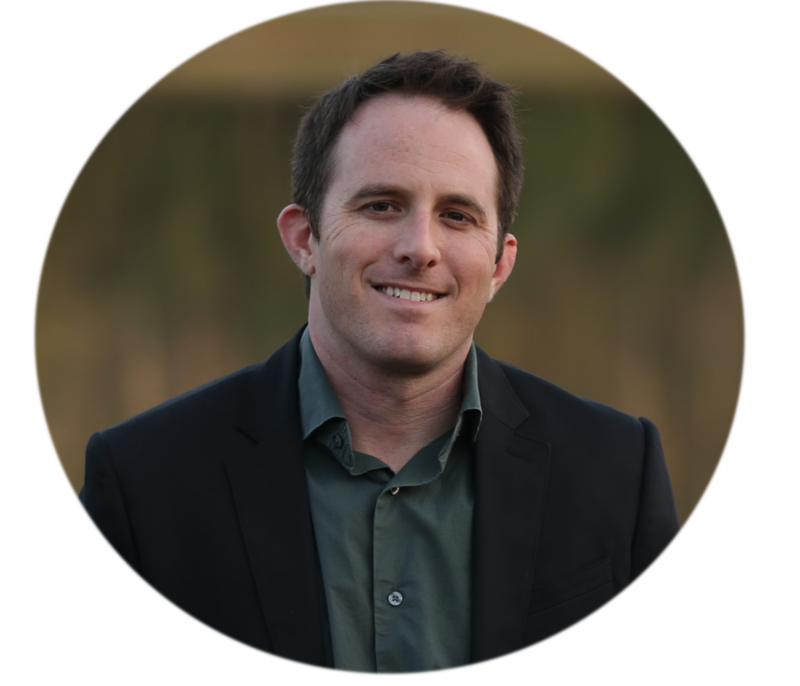 Joël Malm holds a Master's Degree in Counseling and has extensive experience in coaching others in spiritual growth and goal setting. As founder of Summit Leaders he takes people on outdoor expeditions around the world to places like Mt. Kilimanjaro, Grand Canyon and Machu Picchu. He has started everything from a business to a not-for-profit, and he’s even started a church. He brings all that knowledge to the table to help program participants take their life and spiritual walk to the next level as they pursue their God-given vision for their lives. His book Vision Map, published by Moody Press, is available wherever books are sold. He and his wife Emily currently live in Texas. Yes! The program is open to men and women of any age. You just need to be committed and open to whatever God asks of you. Most people who participate in the program are mid-career and ages 35-55, but the program is open to anyone. I'm already short on time, how much time will this require? The program content rolls out over six weeks, but there is really no rush. The content is simply a springboard for getting you some insight on your next steps. The exercises, workbooks, and videos can be completed at your leisure and several of the workbooks are actually more beneficial the slower you do them. The important thing is that you walk out with more clarity and understanding of who you are and what God is calling you to do. So 6 weeks often turns into 10 weeks by the time all the calls and exercises are completed, and that's not a problem - it's flexible. Can a husband and wife do this together? Absolutely! In fact, it's highly recommended. So much so, that we don't charge extra for a couple to do the program together. So what happens when I'm done? Nearly every team member who really commits to the program walks away from the experience with a vision for their future. We've had folks head to the mission field, start new organizations, change careers, pursue their wildest dreams, and step into new ministries. Amazing things happen when you dedicate focused time to watching for God's work in your life. We don't want anyone to be unable to participate because of finances. There are lots of fixed costs for the program (website hosting, books, etc.) that we have to cover, so we can't give it away. But if you can't afford the program and really want to participate please contact us. How does this tie in with Summit Leaders adventure trips? We offer one Summit Leaders trip for program participants every six-months. Though joining one of these adventures is not required, most team members find that doing a trip at the end of their program is a great symbolic "high point" of their journey. You can start today. As soon as your payment is complete you'll get access to the first videos in the program. You'll also schedule your first meeting with Joël for your Vision Map session. In this session you'll start to chart out your strategy for family, finances, career, ministry and personal goals that will be refined and clarified over the course of the program.